✅ Trip Verified | Our return flight from Langkawi to Avalon through Kuala Lumpur started with a flight time change, originally departing at 6pm our plane was re-scheduled to 7:55pm. As we proceeded through the gate to the tarmac (Premium Flex) we were instructed to wait at the stairs as there were 2 elderly people in wheelchairs who needed to board via the lift system. After some time we were then told to board through the back of the plane. After approaching the rear stairs we were then waved back by the pilot to the front. We ended up being one of the last to board seated in 1B and 1C, boarding was totally disorganized. A further delay due to this meant we arrived even later to KL airport, however we proceeded through customs before anyone and made our way to our connecting flight. With 2 x Premium Hot Seats we were able to navigate our way onto the next flight with little issue. On arrival into Avalon we were once again through customs quite quickly as we were able to exit the plane first. However our luggage didn't arrive. 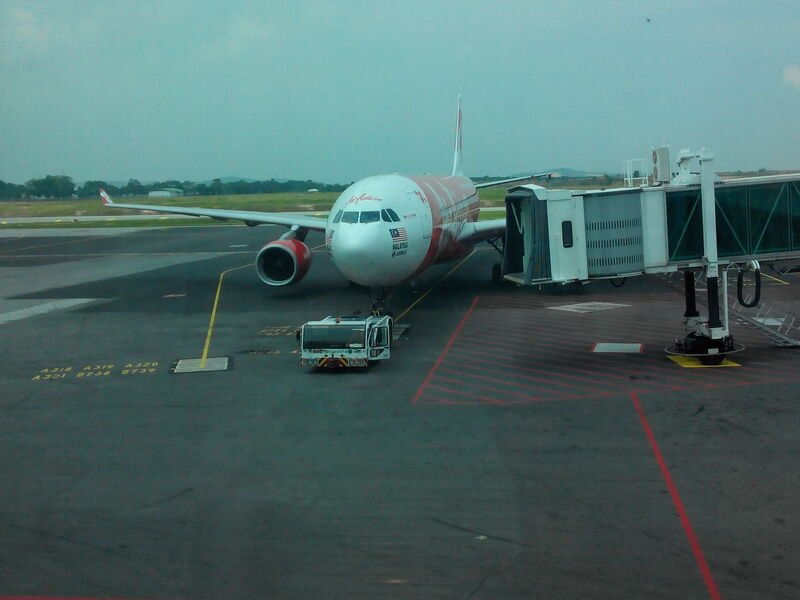 How was it that no-one in KL was able to ascertain that our luggage didn't make the flight? They had 8 hours to call ahead, actually 9 hours seeing we waited over an hour for our luggage. What disappoints me is the treatment from the staff and total lack of communication from AirAsia. 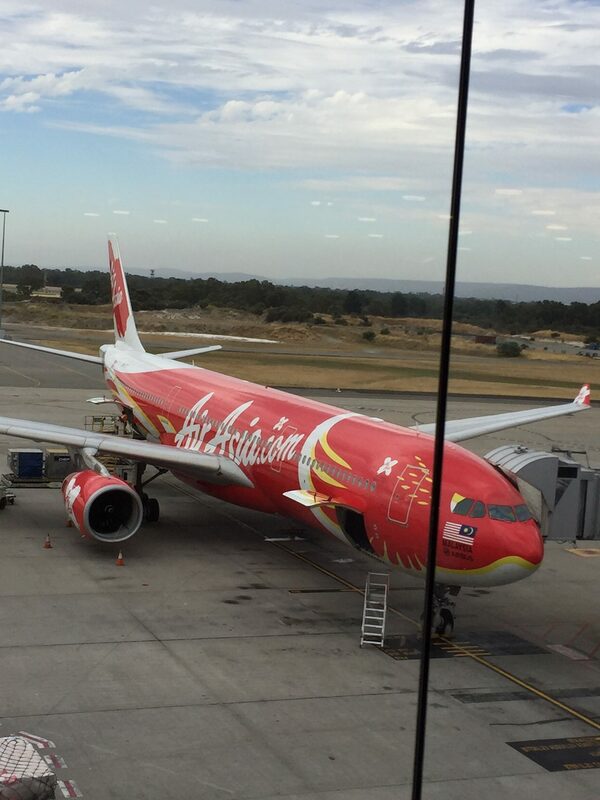 You cannot contact AirAsia in Australia, teir Sydney number goes back to KL. 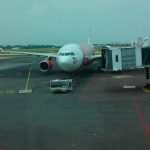 We never received a call, text or email from AirAsia X. We left all our details at the airport for them to contact them. But the saga continues. After multiple emails to KL I found out that our bags were placed on 2 different flights. One later in the day and the other one the next morning. The bags arrived on separate flights and were separates in the lost luggage area of Avalon Airport, one even included a large hand written note saying "Waiting for other bag arriving on D7 218". The bags continued to sit there separated for a further 24 hours, still no call, email or text. Ringing KL they said the bags were there but yet once again you can't call ANYONE in Australia. Instead they give you the number for AVALON, which welcomes you with "Welcome to Jetstar" and had no reference to AirAsia. 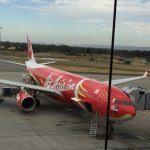 It was only though the assistance of a lady at Avalon Administration who knew the Air Asia supervisor that a direct call was made. Finally my bags were reunited and given to a courier at 7:30pm 3 days after departure. I was told they would be with me by 8:30pm. At 9:30pm I received a call from the courier saying he won't be coming until tomorrow as he'd also had to go to Geelong. I stood my ground, told them they had destroyed my evening and had no choice but to bring me my bags. Finally I received them at 11:30pm that night. Close to a week has past and I still have not received a call, text, email or apology from Air Asia. "Why bother with self service"
✅ Trip Verified | Kuala Lumpur to Sydney. Why bother with self service to speed up the process to then have only 2 counters for document verification? The queue is long and slow. If you have done so much to speed things up why let this final process to taint the effectiveness and efficiency? 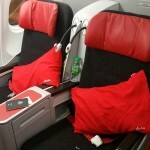 I always fly AirAsia. It is economy airline and they have done well on a lot of fronts and to come this far itself is an amazing achievement. I am just very curious why this decision and this process? ✅ Trip Verified | Flying from Bangkok to Tokyo. Plane left as scheduled, arrived on time in tokyo Narita. Very friendly inflight staff, and good ground staff as well. Nothing particular on the flight itself, no free food, no inflight entertainment, it's a low cost airline. I felt cold in this flight and I suspect the airline to lower the temperature inside the plane to make you buy there cover, so just prepare a small jacket and that will be fine. Seats are okay, better than short flight budget airline. "inflight staff were really nice"
✅ Trip Verified | Flying from Seoul Incheon to Bangkok. Well, was not too bad at all. Plane was on time, arrived in Bangkok a little bit early, thanks to good wind I suppose, inflight staff member were really nice and smiling. On the other hand, there is the lack of inflight entertainment, but with some movies on my PC it was ok, and no free food. I bought some snacks before taking the plane and it was enough. But I suspect the airline to lower the temperature inside the plane so you will have buy them some cover. I felt really cold compared to many other airline I took...fortunately I had a jacket with me. ✅ Trip Verified | Bangkok to Auckland via Kuala Lumpur. Fantastic value for money especially when one finds a promo or random very low fair. The food was good and very cheap too as well as the beer. Bought a warm meal for under €5 and beer was around €3. Will be flying this airline over the major carriers when possible, after all what do you miss out on, free food and drink and an entertainment screen? Seats are a little cramped but not enough to grumble about really. The layover in Gold Coast is an annoying factor in this leg though. Not once were my carry-on bags checked for weight so could have easily packed more in my luggage. "not comfortable to say the least"
✅ Trip Verified | Tokyo Haneda to Kuala Lumpur with AirAsia X. Flight departed and landed on time. Did not pre-book a seat and was allocated a middle seat, which was not comfortable to say the least. Cabin crew were a little slow in starting meal service and hence I had to wait some time before I could purchase a drink. Was an overnight flight so largely napped for most of the time. ✅ Trip Verified | Kuala Lumpur to Tokyo Haneda. Flight departed on time & arrived early, although was forced to wait on the tarmac as parking Bay was occupied by another aircraft. Was randomly allocated a seat in the Quiet Zone, a welcome stroke of luck. Pre-booked an onboard meal, chicken Teriyaki rice, which was pretty decent. Flight attendants were professional & polite, and the captain was clear & prompt in his announcements. Overall a satisfactory flight. "changed my seat after take-off"
✅ Trip Verified | Seoul Incheon to Kuala Lumpur. The check in counter only opened 2 hours before flight and the queue to check in was so long. There were no self check in kiosk. We were in the airport 5 hours before flight. We were in a rush to catch up the flight as we had to take train to the gate. After we boarded the aircraft and put our luggage in the compartment, the aircraft was out of power due to problems with Ground Power Unit(GPU). The pilot did an announcement regarding it but no estimation time given. Passengers were still boarding at this time with limited light and small aisle. It’s really not worth it to pay for hot seats and having to face awful stuff. But kudos to one of the cabin crew on the flight who saw me having difficulties dealing with crying babies and changed my seat after take-off. "leg room was so small"
✅ Trip Verified | Denpasar to Auckland via Kuala Lumpur. The seat was not confortable and the leg room was so small. 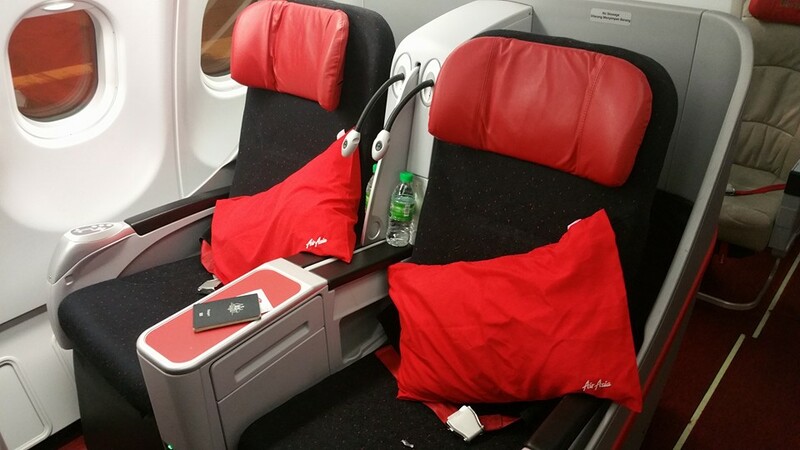 Definitely it is not recommended to travel with AirAsia X for a journey more than 2 hours. Entertainment system was not available on board. The flight attendants are getting better. "We are now so frustrated"
✅ Trip Verified | We bought return tickets in early March 2018, flying from Kuala Lumpur to Osaka in end October 2018. There were 2 cancellations made by AirAsia without notice. Both had no notice or email given until we noticed the changes ourselves when we were surfing the website to purchase add-on. The 1st cancellation was made somewhere in June to early July, original flight to Osaka cancelled and they moved it to 2 days later than the original. We filed complaints through email and Twitter, and expressed our dissatisfaction on the cancellation and changes without notice immediately, and request for flight change as the date is not preferable. Entitled for free reschedule, we moved the date to early November. The 2nd cancellation was made soon after the reschedule done in early July till early August, same scenario as previous, no notification! We noticed the changes ourselves in the website, filed another complaint through Twitter, and the only thing we can do is either get a refund or free reschedule. Nothing else. Noticed there were complaints about the delays and difficulties in getting the refund from Airasia, we decided to make another flight reschedule to late November. Our departure flight now is 2am on 24 November (tomorrow). And this early morning (today) we received an email informing us that there will be a delay in our flight for 2 hours. We are now so frustrated and yet worried there will be another delay in the flight later. Another note, the response from Airasia's customer care or support team is very disappointing. Response received from Twitter somewhat acceptable, which they took about 5 hours to 1 day to reply, but as long as you have decided the date to reschedule to, they somehow managed to get it done quickly. However, there was no response from our email complaints about the first cancellation that we made in mid-July, until end-August where we have already made our second reschedule (in mid-August) after the second cancellation without notice. And the email was only reflecting the first cancellation and first reschedule that we made in July. Soon after the email, Cancellation Notice was sent to my inbox to notify the first cancellation, after 2 months, and it wasn't even valid at that time anymore.